As a brilliant start into the year 2016, FRAGMENTA presented a film screening of “Blind Ambition”, followed by Q&A with artist Hassan Khan. “Blind Ambition” (2012, 46 min.) is a film shot with a cell phone with 27 actors in nine different episodes that take place at different times of the day in public places across the city. Shot in stark black and white and completely silent, except for the voices of the actors, it is an attempt to crystallize and suspend an emotional condition that seethes under the surface of a collective, to produce a portrait of selves held together by a fragile intent. It is a film made of contrasts: the contrast between the fast talk of the protagonists (too fast to grasp all of it) and the long, slow shots; between shouting voices and absolute silence; between the language of the bodies and the voices of the actors … these contrasts help create a fascinating concoction of something uncannily real and very artificial, a sensation that is brought to the foreground by the conversations in the individual episodes. Form and content merge flawlessly. Separating each of the film’s nine episodes is the passage through some sort of public transport, edited with flickering blink cuts in order to free the viewers’ mind for the next episode. Khan also explained that certain formal decisions led to the compelling film: 1) a handheld Samsung phone served as camera, 2) the shooting of the film took place exclusively in public space, 3) the actors dubbed their voices later, thus creating an almost-synch of their bodies and voices. This two-fold performance constitutes the two elements of collective communication and existence. The camera is not only a device to capture images, but becomes a point of view – our point of view? 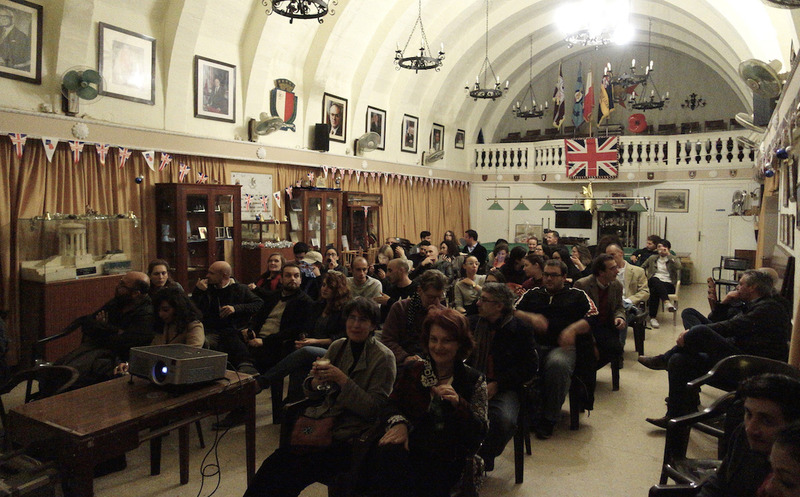 The screening took place at the Royal British Legion in Valletta on January 5th, 2016. 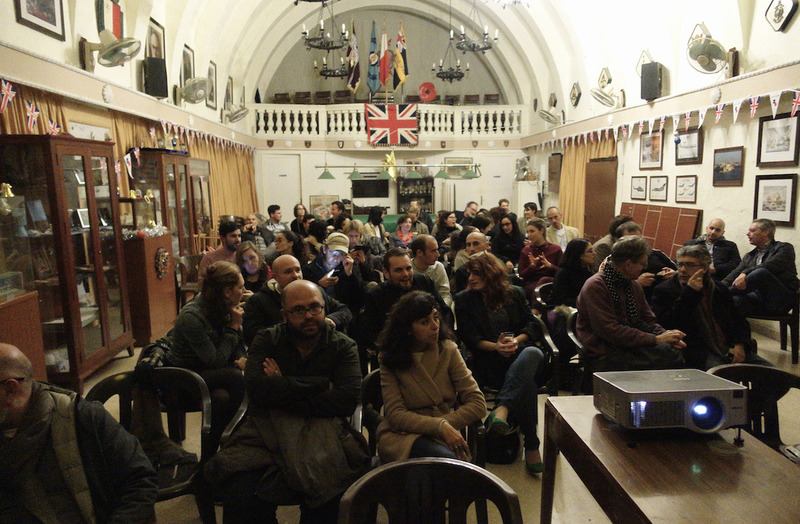 Thanks to Hassan Khan, to Bassam El Baroni, to Valletta 2018 Foundation, to the British Legion and to Kinemastik.